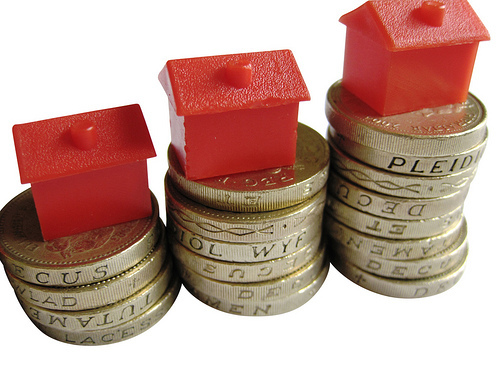 Development has become the favoured strategy within the property space. Particularly so because vanilla buy-to-lets have become much less profitable, even before factoring in the new tax changes. Furthermore, the government is on the side of developers with its target of building 1 million new homes by 2020. To profit from property development, you don’t need to be a developer (that’s a full time specialist occupation). The smart way is to invest your capital into the best projects: Select the best developers, the best projects, manage risk, create a portfolio, re-invest – and multiply your capital, just like the pros do, consistently. Are these returns achievable? Absolutely. I invest in such projects and made even higher returns. Doing it well requires proper due diligence (DD) and the right approach (seeing a slick presentation from a developer with social media presence does not equate to proper DD!). The proper approach is detailed below in my 7 step process. Before diving in, let’s consider how the pros think. Take a look at the simple dilemma in the box below. Which would you choose? I – and my fellow pros – would choose £1 coins every time. It’s the option where you survive to keep playing the game. Professional investors build portfolios that make money consistently – year after year. Collecting the £50 notes is a get-rich-quick scheme for amateurs. Sadly, because they get frequently flattened, they cannot build wealth that compounds over time. The Pro mindset is key to multiplying and protecting your wealth. This is what InvestLikeaPro is all about. The process it employs, the way they work. What is the “edge” that makes them excel? Does the developer provide sufficient information and answer your questions? Go through the specifics of the SPV agreement. Ensure it is fair and not weighted in favour of the developer. Importantly: don’t be swayed by slick marketing presentations or a high-profile social media presence. That means nothing. You have to do proper DD. Independent analysis is critical. When a developer gives an expected ROI, investors should analyse the assumptions and stress it for various scenarios. Break down the expected return into planning outcomes, costs of construction, assumed GDV (gross development value). Do scenario analysis into different outcomes. Do stress tests. Assess various exit strategies. Double check the developer’s assumptions used to arrive at return on investment. Assess each component of the project including: acquisition price, planning, costs of construction, professional fees, assumed GDV (gross development value) etc. Next, stress test the expected returns, taking into account different scenarios around planning outcomes, cost/time overruns and market volatility. Stress costs by +20%, stretch time-frames by 6 months or reduce GDV by 15-20%. Play around with scenarios using a combination of these factors. If the opportunity still stacks up, that’s a good sign. Look at a range of exit strategies. Have a plan A, B, C and D. Will the project be sold post-planning but before development? Or after development? If planning does not come through, what are the alternative exit strategies that will still make money? The typical range of expected returns on equity investments is 20-60%. The range is wide due to several factors including: the existence of a planning permission element, profit share arrangements with the developer, and whether there is leverage (use of mortgage). The typical range of returns on fixed-rate debt investments is currently 8-15%, annualised. Why? This is how to maximise your returns vs the risk undertaken. Financial theory tells us returns are linked to risk. 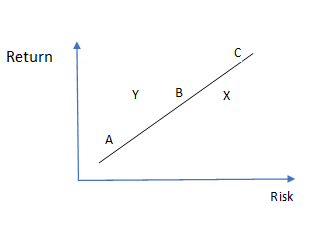 Think: higher risk equals higher returns – like investments A, B and C in the chart above. Whilst this is true in general, in property it is quite possible to find opportunities where risk and return may be mispriced. Look at investments X and Y; they have the same return but different riskiness. Clearly, you would prefer to invest in Y rather than X. A real example of Y and X are shown below. The pros invest where risk is mispriced – they find the Ys. You can too. This project already had planning permission and the developer was in advanced discussions with the local authority on improving the scheme which would increase GDV of the original design by 16%. With the improvement being granted, the expected ROI was 42%. We stress-tested the ROI with a) the improved scheme not being granted and b) costs to overrun by 15%. The stress-tested ROI was 28%. This project had no formal planning permission (it had pre-planning). The developer had used fairly punchy end-values to calculate GDV, giving an expected ROI of 38%. We stress tested the ROI for a less ambitious GDV, a slight increase in cost contingencies, but assumed PP would be granted. Our stress tested ROI came down to 27%. And there remained risk of planning refusal. Yet, the developer (using slick marketing and investor relations) was able to attract the full investment. Diversification helps generate wealth and protect it. The pros do this effortlessly. Once you’re satisfied with the developer and the specific investment opportunity, don’t just put all your eggs into that one basket. I strongly recommend creating a diversified portfolio of investments. Split your pot into around 8-10 investments. 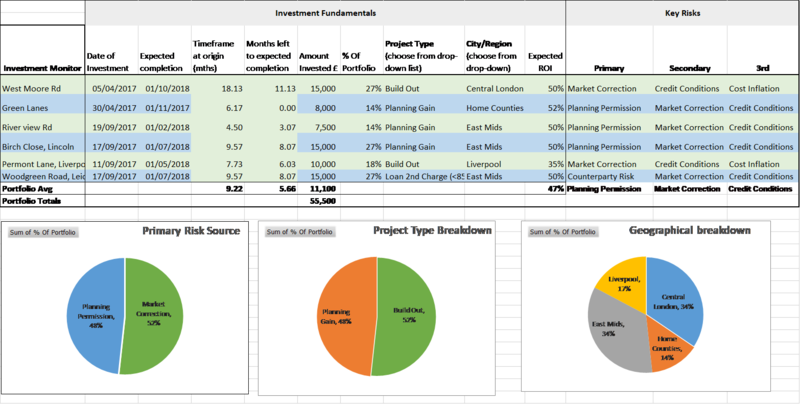 So, if you have set aside an investment pot of £100K, allocate £10-12K into each project. Diversification is done in a number of ways: eg the range of developers with whom you invest (at least 5), by geography (be exposed to a number of cities/regions), by sector (resi, commercial) and by risk-type. Risk-type can be broken down into Equity/debt and also the underlying risk-source such as build-outs versus planning gain projects. Build-outs are more sensitive to cost inflation and market pricing whilst the main risk in planning gain projects is the planning itself. Finally, it’s important to minimise correlation in your investments. Correlation can be explicit or hidden. Explicit correlation is simply not being diversified enough – eg having all your exposure with one or two developers. An example of hidden correlation is where you might appear to be diversified (multiple cities, developers, risk-type) but, upon closer examination, your investments are in new builds across the country that might predominantly appeal to foreign investors. In case of, for example, a Chinese clampdown in foreign investment, the investments in your portfolio would be highly correlated. Risk Management enables the pros to survive and prosper in good times and bad. It lets them create sustainable wealth over the long term. The survivors, and winners, of the 2007/08 financial crisis were those who had implemented good risk management. In development, with typical returns ranging from 20-60%, it might be tempting to select only a handful of the highest returning investments. I.e. loading up your portfolio with a bunch of C-type investments from the chart above. The Cs might appeal to get-rich-quick types but we invest like a pro to create sustainable wealth over the long term. The pros follow what is known as a ‘barbell approach’ to investing – like the portfolio on the right, below. This is much more balanced than the typical amateur portfolio full of high-return, potentially high-risk investments. Each blue circle represents a different investment. The one on the right is more diversified, more balanced, with risk spread evenly from lower to higher ranges. The pro portfolio makes great returns consistently. Most importantly, during a downturn. its owner is less likely to lose everything. This is how the pros survive to keep making money over and over again. Many pros believe this is as important as selecting the investments themselves. Monitoring your portfolio means being proactive. A good monitoring tool helps you to see your portfolio exposure at a glance. You should keep an eye on underlying risk sources, geographical exposure and project types. Another objective is to monitor KPIs at the project level. This means knowing how various components of each project are performing. Eg what is the latest GDV update for investment D, versus its initial expectation ? Finally, a good monitoring tool helps to do “what-if” analysis. As an investor, it’s helpful to analyse the impact of a market correction on your portfolio value. As an illustration: we recently performed our analytics on a client portfolio and estimated it could withstand a 22% market correction without losing money on the portfolio. To maintain your portfolio at its best you need to continually rebalance. 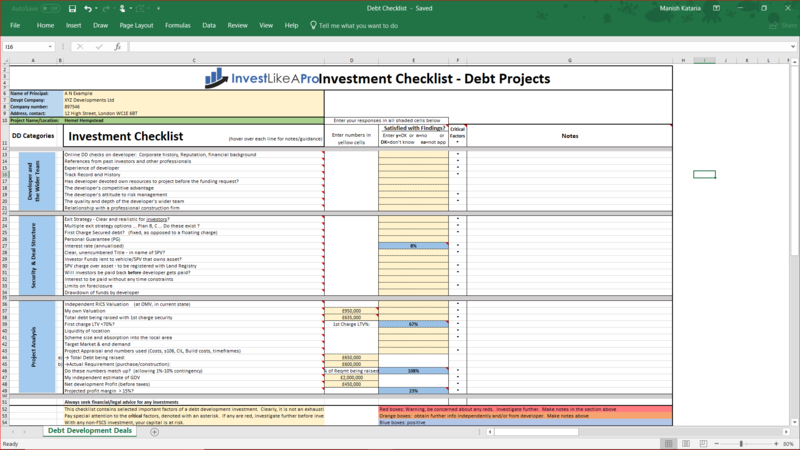 When investments mature – i.e when projects complete and you get paid out – you should reinvest those proceeds back into the portfolio following steps 1-6 above. When you reinvest, something magical happens: Compounding. The 8th wonder of the world according to Einstein! Compounding will multiply your wealth many times over. More on compounding in a later post! 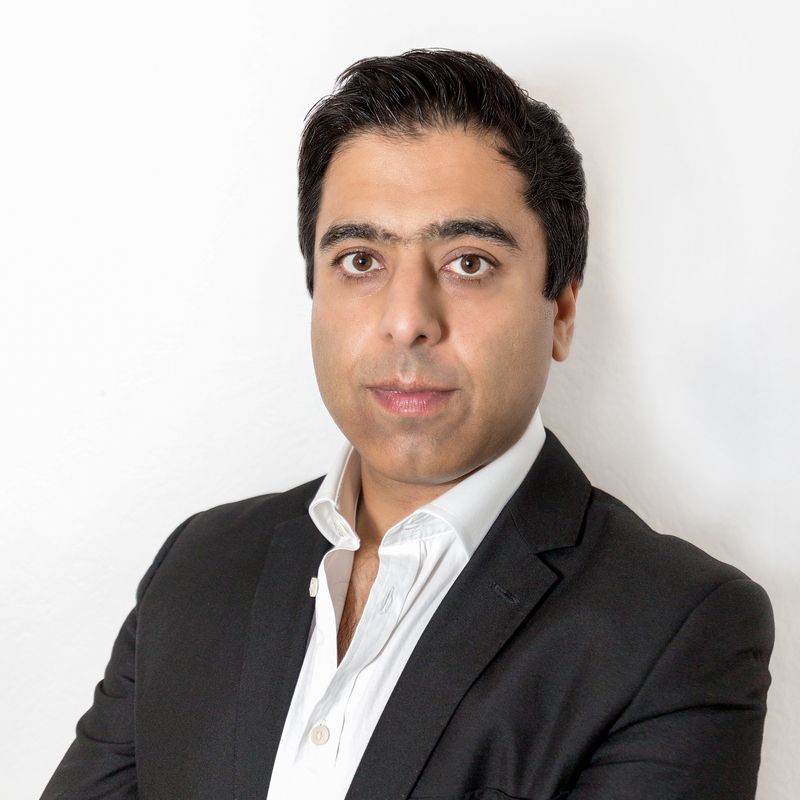 Manish Kataria CFA is a professional investor with 18 years’ experience in UK real estate and equity portfolio management. He has managed money for JPMorgan and other blue chip investment houses. Within real estate, he invests in and owns a range of UK property including developments, HMOs, serviced accommodation and BTLs.